The other day, I saw a man by the side of the road, holding a piece of cardboard on which he had written a typical homeless mantra. And a strange thought entered my mind. "WHERE did he find a black felt tipped marker?" 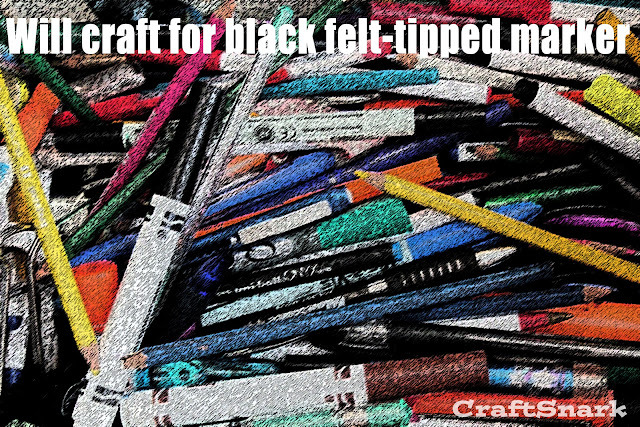 Whenever I need a black felt tipped marker, I can't find one. Ever. I end up turning my crafty room inside out... and then going to the store to buy one. Or make do scribbling furiously with a ballpoint pen. How is it that the man on the corner can find a black felt tipped marker, but I never can?